Mayberry Haven was built in 1947. It was purchased on May 1 2013 and has been completely remodeled in order to make your stay with us a relaxing and enjoyable one. 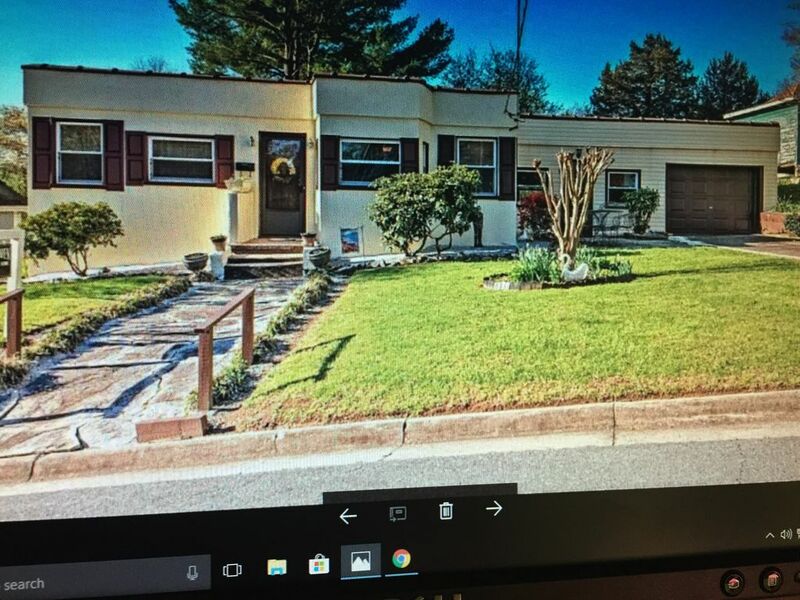 The house is located in a nice, convenient neighborhood and is within a two block walking distance to downtown Mount Airy. The Andy Griffith Playhouse, Museum & Statue and the Blackmon Amphitheatre are located only one block from Mayberry Haven. The home features three bedrooms, one bath, a kitchen and dining area as well as a comfy living room area for you to relax in. There is a sunroom where you can enjoy a game of checkers or read a good book in. There are outdoor sitting areas for you to enjoy the beautiful scenery and weather during your stay. There are also great restaurants, shopping centers, and laundry mats located nearby. Come stay with us and 'Make Mayberry Haven your home away from home'. Near Andy Griffith Playhouse, downtown “Mayberry”, Blackmon Amphitheatre, Pilot Mountain state park; near wineries and vineyards; outdoor entertainment and walking trails, fishing areas as well as kayaking access areas on the Ararat River. I was born and raised here in Mount Airy NC. This is my first rental property and I want to share my house with you. Come stay with us and 'make Mayberry Haven your home away from home'. My home is the closest rental property to downtown Mount Airy, NC in this area. Mayberry Haven has been completely remodeled in order to provide you with a comfortable place to stay while you are visiting 'Mayberry'. Walking distance to all of the downtown 'Mayberry' attractions. One block to the Andy Griffith Playhouse. Becky is the best hostess. Everything was ready and the house was perfect . Thanks! Becky, thank you for your special touches . We love your house!!! My Wife and I enjoyed our stay at Mayberry Haven. All the pictures and information about the TV show was very interesting and enjoyed reading it all. We walked to main street and took in seeing all the shops and restaurants. We had a great time visiting family in Mt. Airy over Christmas. The Yorks were great to work with and very prompt at returning e-mails when we had questions during our stay. It was nice to have a home instead of a hotel room to retreat to after our time spent with family during the day. It had everything we needed for comfort. I'm certain we will stay there again in the future. Thank you for staying with us! It's a pleasure to have great guests like your family stay with us! walking trails, fishing areas as well as kayaking access areas on the Ararat River. A minimum of 10 days notice is required to cancel a reservation. If you cancel within the 10 days of your time of arrival, you will be charged for for one night stay. Rates are subject to change. Security/Damage deposit is required at check-in, and must be by credit card in the amount of $200.00 to be refunded at the end of your stay.